The new-old art of storytelling is a blend of theater, stand-up comedy, reminiscence around the campfire, folk research, history buzz, ancient myth and midnight confession. It's always fascinating and always a surprise. Over a dozen performers will be telling during this season. At each Word Play, a different group of performers tell rarely heard contemporary and traditional stories celebrating the human spirit. You will discover that Word Plays is a shared experience between the audience and the performer, combining the intensity of a solo performer with the intimacy of a face-to-face conversation. Sept. 30 Yes, mavericks are horses and Dallas basketball players. Come hear stories of other kinds of mavericks - people who did not go along with everyone else, who created their own path, for better or for worse. Nov. 4 Sparks can start changes, as in sparking new ideas, or sometimes start fires. 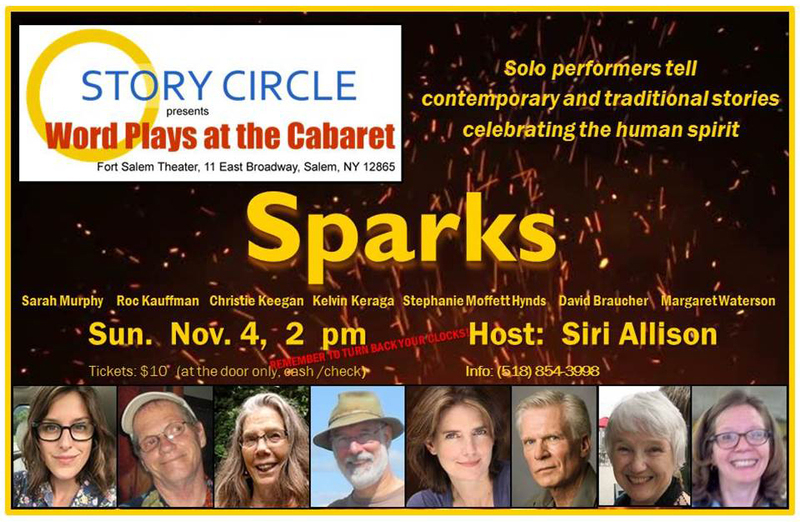 Come hear stories, both fact and fiction, about people creating and dealing with sparks. Our previous seasons: the first, second, and third, and fourth.